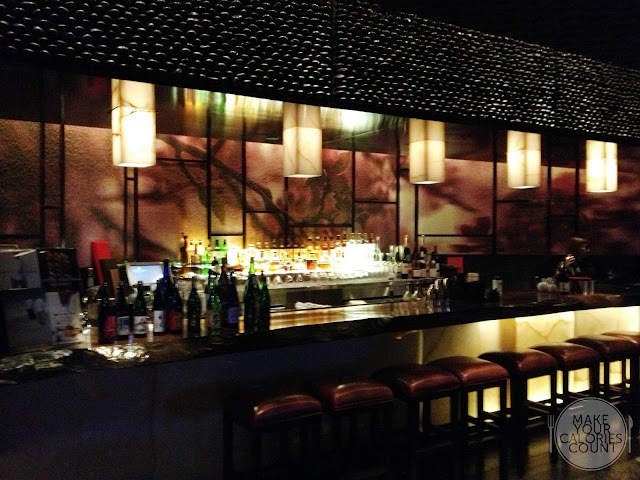 Nobu should be a familiar name with its Japanese fusion cuisine in restaurants worldwide crafted by Nobuyuki (Nobu) Matsuhisa. 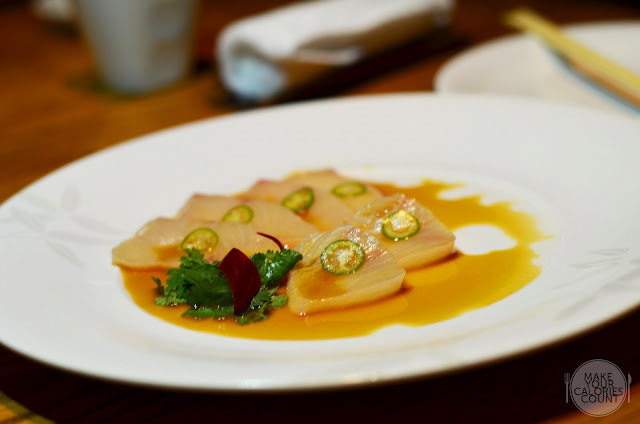 Blending traditional Japanese dishes with South American (Peruvian) ingredients, Nobu InterContinental Hong Kong features not only innovative culinary skills but also imagery of the Japanese countryside where Nobuyuki grew up. Having moved to Peru at 24 years of age, it played an instrumental moulding influence on Nobuyuki's cuisine as he began weaving Peruvian influences into his dishes as seen in his signature dishes. For the wine-lovers, Nobu will not disappoint with 4,500 bottles and 550 labels in their collection, with 35% white wine and 55% red wine and a focus on wines from Burgundy, California and Australia. The remaining 10% consists of champagne and Nobu's list includes some rare vintages recommended in the Hugh Johnson pocket wine book and the various pairing options are designed to create an exceptional dining experience. 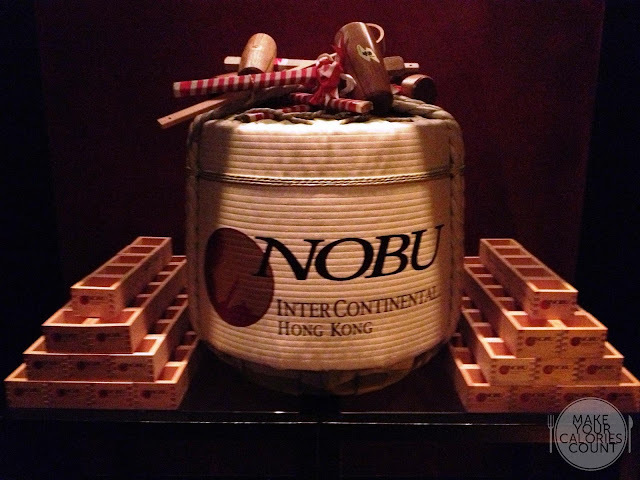 In addition to the selective wines, there are also 12 different labels of sake, including Nobu's private label, all produced by one of Japan's most renowned breweries - Hokuesetsu, the Hazu family, who began brewing sake in 1871 and had won various Japan's most coveted beverage creation prizes. 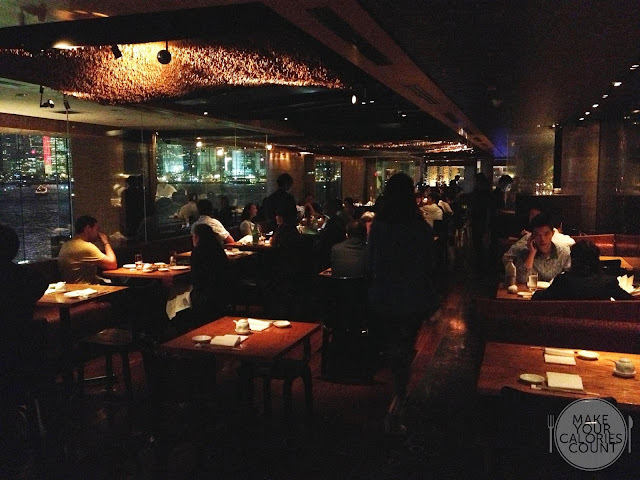 Reservations are a must prior to dining at Nobu and it would be advised to make bookings early especially if you intend to visit on the weekends. With a beautiful setting and spotlights casting the backdrop of the restaurant, it is about time to put the taste buds to work! Considered to be an aphrodisiac by the Japanese, uni is commonly eaten for its healthful properties for it is rich with protein, fiber, Vitamin C and a source of Vitamins A&E, iodine and calcium, helping to warm and energize the body and last but not least, promoting good blood circulation. Uni is however not the sea urchin roe, but rather the organs that produce the roe, in other words, the gonads. Served very elegantly on spoons, the firm custard looking uni had a soft, buttery texture that melted gently in our mouths, leaving a delicately mild sweet after taste that was surprisingly pleasant. It was as fresh as we could possibly asked for and certainly one of the best renditions tried thus far. This little delicacy however has a love or hate relationship with most diners so do exercise discretion with our verdict! The scallops had beautiful grill lines and most importantly retained the much desired moisture to taste juicy and succulent with each bite. 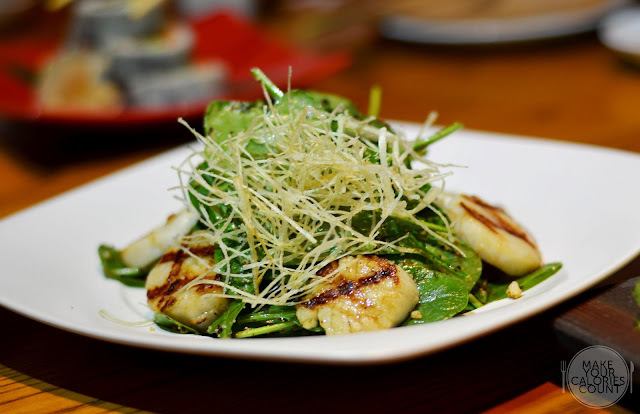 The dried miso over the baby spinach was key in providing the savoury salinity to the dish which gave it a natural and clean feel. The flavour was cleverly balanced with a dash of acidity from the lemon slice provided on the side. This was definitely one of the highlight dishes of the evening. The sashimi was sliced to the perfect thickness and uniform across each and every slice. 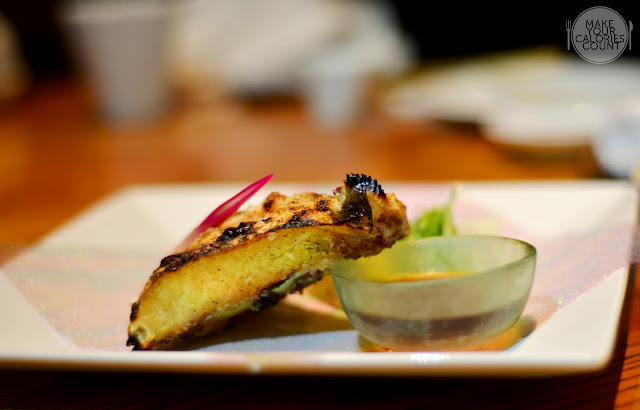 The jalapeno dressing was a classic example of Nobuyuki's touch of Peruvian influence on the traditional Japanese cuisine, which carried a tinge of heat unlike the familiar wasabi. 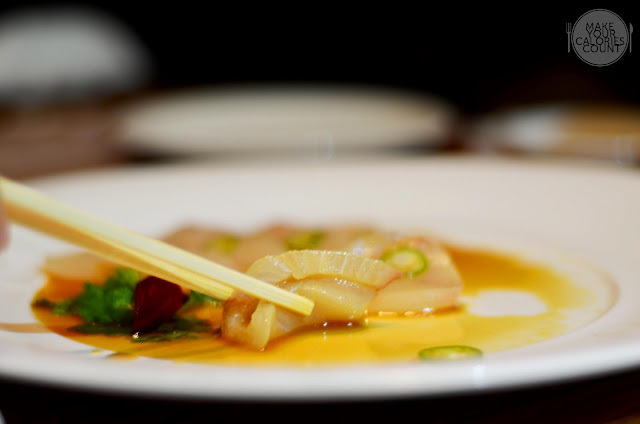 The yellowtail sashimi was fresh and slightly firm in texture, which was not quite the desired 'melt-in-your-mouth' quality but the freshness was definitely up to standard. 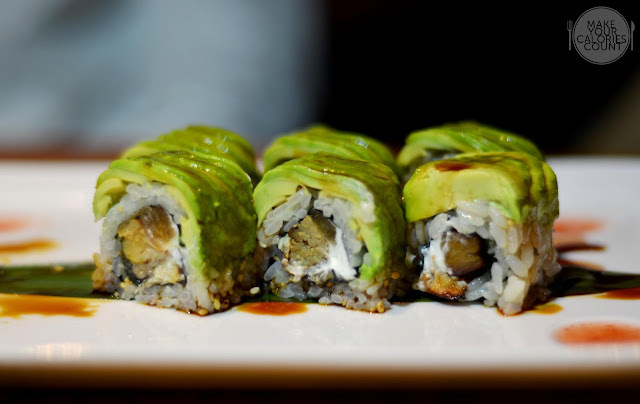 This was a beautiful rendition and twist to the usual traditional sushi roll with cream cheese avocado and foie gras giving a luscious and mildly saccharrine punch with the savoury unagi (eel) and a beautiful soy dressing to complement the overall flavour of the dish. The balance in sweetness and savouriness made the dish pleasing but that being said, it was not a treat which I would have more than 2 servings for the richness of each bite was rather overwhelming. Thinly wrapped in Daikon sheet, this simple looking sushi roll exhibited some fine techniques by the chef. 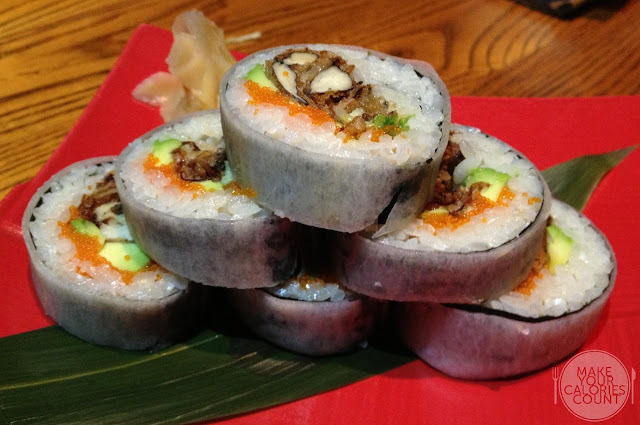 The soft-shell crab on the inside was deep fried to a crispy crunchy finish coating the firm crab meat on the inside. The accompanying fish roe and avocado condiments made the balance in texture cohesive and complete. The Saikyo-yaki is a delicious and distinctively sweet miso, made with more rice and less soybeans with a short fermentation period. 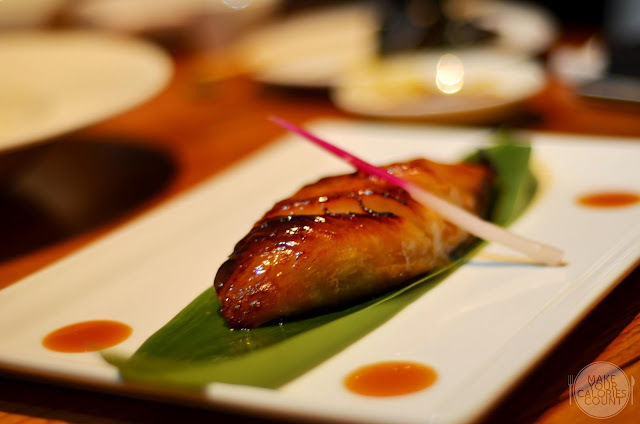 With a salt content of no more than 10%, it is a favourite miso used to marinate fish. The black cod was beautifully cooked to perfection, retaining the moisture and natural sea flavour. The Saikyo yaki sauce was mildly sweet and fragrant but we felt that it was slightly overdone with the sweetness being the dominating flavour on our palate. 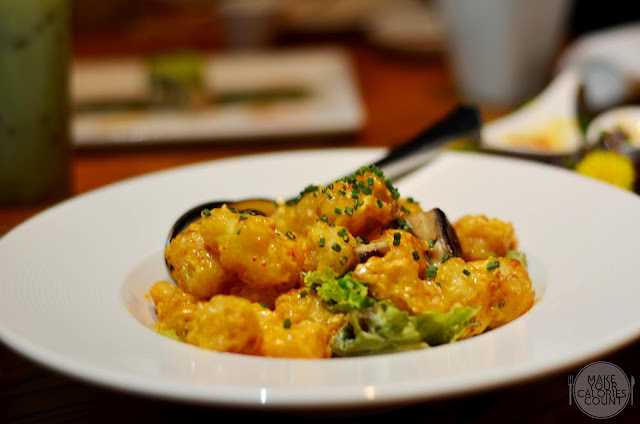 Look elsewhere if you are looking for the traditional version of shrimp tempura for this rendition carried an interesting twist with the usage of ponzu, a citrus-based sauce. The flour for the tempura and the batter was not the expected norm but rather a thin layer of crispness coating the juicy crunchy prawns. The texture was sublime with the flavour coordinating harmoniously with a right balance of sweetness and acidity from the ponzu. The rich creamy sauce had a delicate amount of heat from the chilli which made this main an appetizing course. The usage of 'Aji Amarillo' (yellow chili pepper) is an inherited characteristic of Peruvian cuisine as it is one of the most commonly used condiment. The mussels presented a rather unforgiving experience with its fishy smell. We felt that the mussels should have been treated with greater care prior to serving for there was detectable sand grains. 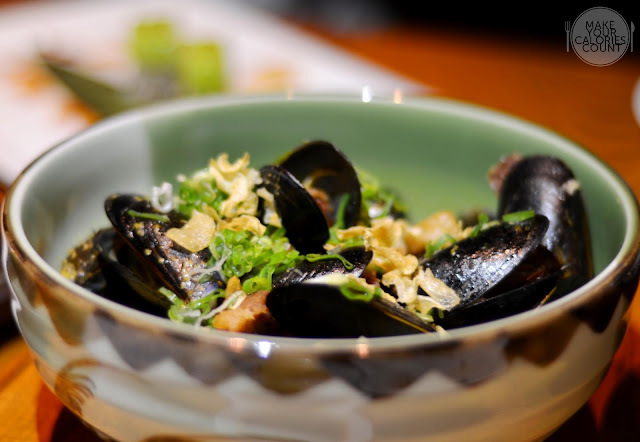 As much as the flavours compensated for the letdown, these were but some fundamental flaws in preparing mussels, especially at fine-dining levels. The fish collar is in fact one of the fattiest, lushest and most flavourful parts of the fish. This was a different technique from the other dishes with the wood oven roast to give the enhanced flavours of the fish. It had a crisp surface and you could still hear the crackling of the skin yet the moisture of the flesh on the inside was not compromised. The flesh of the fish collar was firm yet tender to the bite and the smoothness was better explained by the rich levels of omega-3 fish oil. 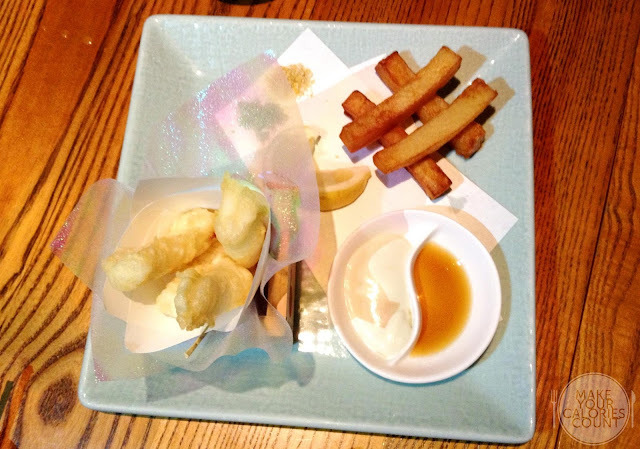 Quite frankly, Nobu's version of fish and chips are nowhere close to what we had in mind, and we meant it in a good fashion. 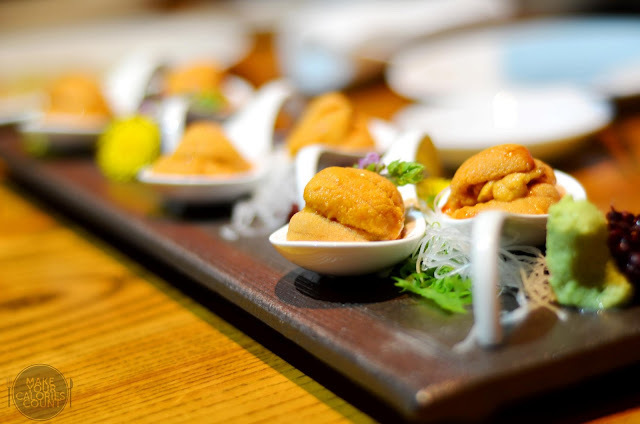 The cod fish fillets were coated in a tempura batter and deep fried to give a crispy coating over the moist and fresh fish. The cooking of the fish fillets was clean and neat but the thick and fat potato chunks which supposedly serve as the 'chips' which were also deep fried to a golden brown failed to capture our visual delight nor palate. It was served with glistening oil on the surface, exposing a rather undesired greasy side to the dish. What we enjoyed most about the dish was the interesting green tea and curry-infused salt crystallines that delivered an unexpected strong punch of flavours with each dab. Overall, the presentation of the dish felt clumsy and the platter looked too cluttered for comfort. 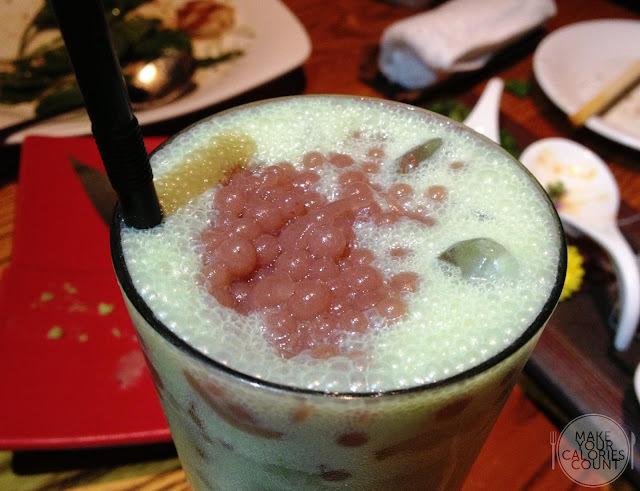 This was one of their signature drinks which involved the use of molecular gastronomy technique in creating the red bean 'caviar'. With this cocktail being make to order, we waited almost 30 minutes before it was being served! 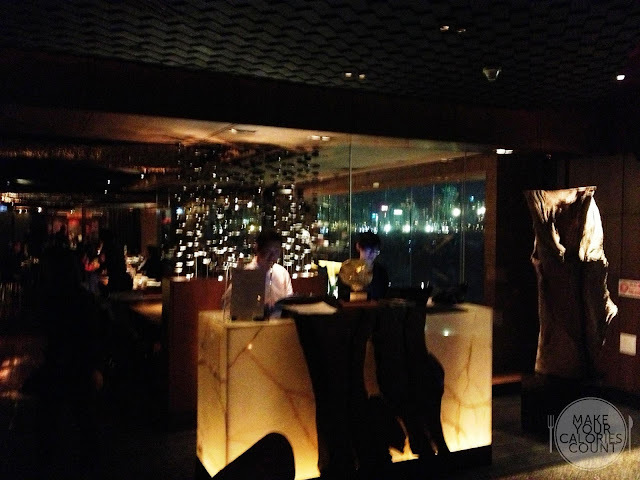 The overall dining experience was great, with a view of the Victoria Harbour. 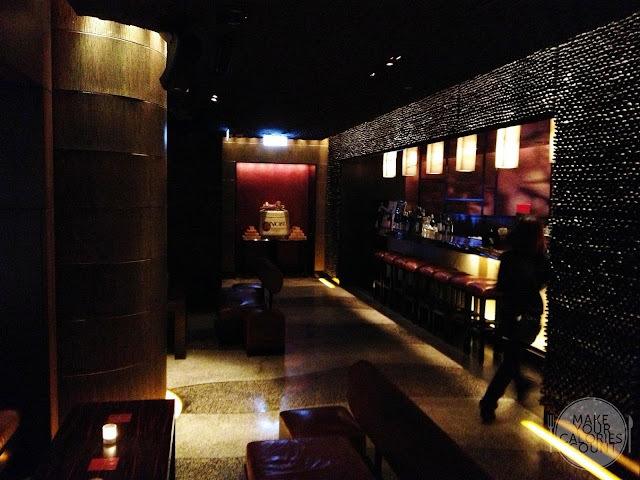 The ambiance is perfect for a romantic dinner or even formal dining with clients or business partners. The waiting staffs were meticulous in their service and attentive. When asked about the dishes, they were knowledgeable and managed to elaborate at length on the types of techniques involved and ingredients used. It was a shame that we were rushing off for a movie and had to bail before we had time for desserts!